Conclusion: Still highly detailed and easy to build but at a lower price. 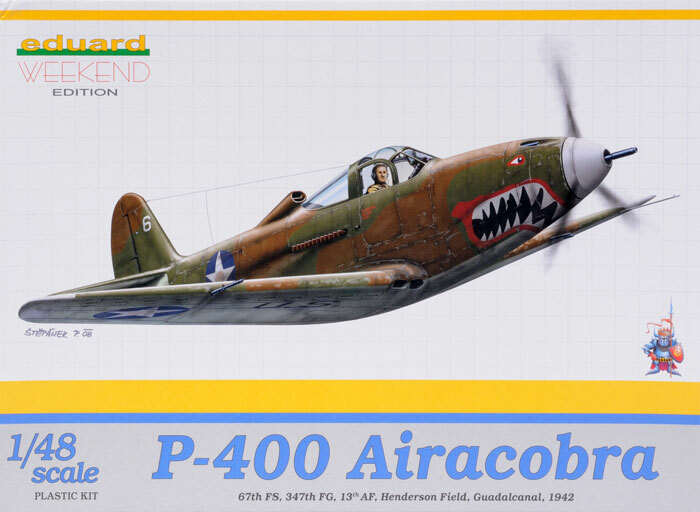 Eduard continues with its 1/48 scale simplified weekend series of kits. 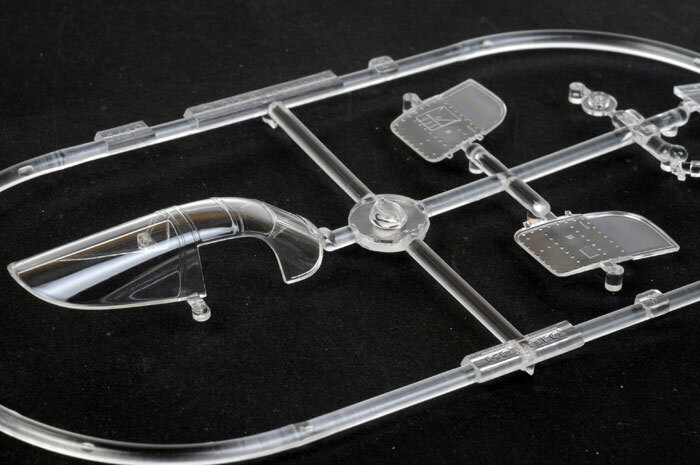 The Weekend Edition are Eduard’s standard kits but simplified by not having any etched metal parts, canopy masks or metal nose weights an,d most importantly, are usually only three quarters the price of the standard kit and sometimes half the price of the Profi Pack kit. 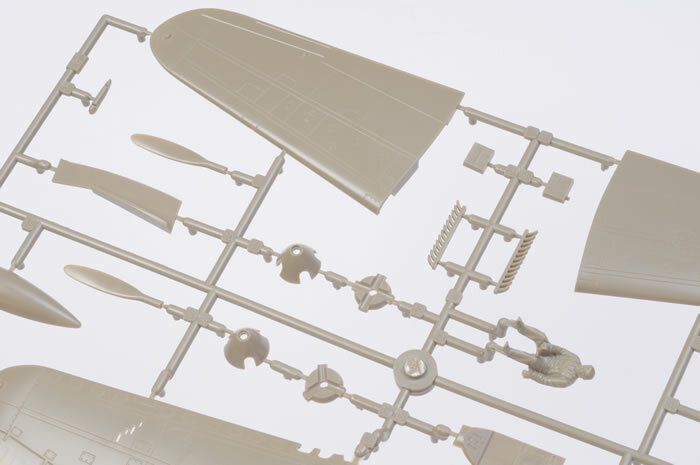 The P-400 Weekend kit contains the standard sprues that are included in all of the Eduard P-39/P-400 kits with the exception of the underwing gun pod sprues. 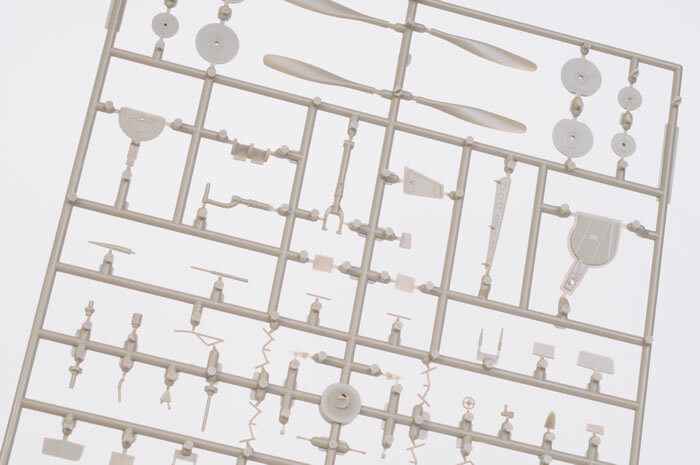 There are 128 olive coloured injection moulded plastic parts and 6 injection moulded clear plastic parts. 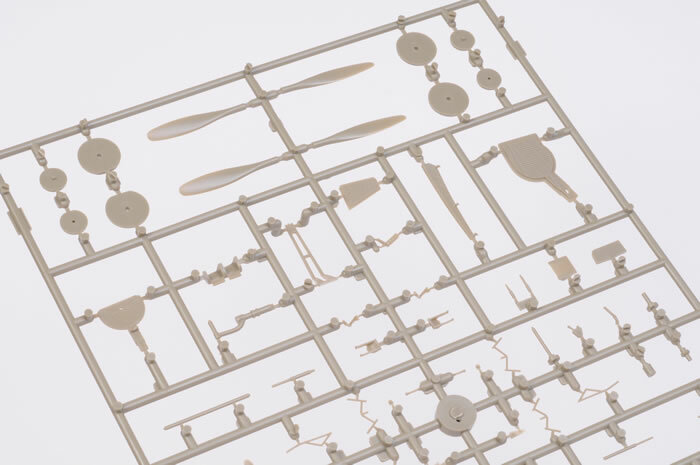 Because the sprues are common for all versions of the P-39/P-400 kits there is a multitude of parts that are not used along with a few options. The parts that are not used are two sets of engine exhausts, two sets of four blade propellers and spinner, a set of weighted and unweighted smooth hub wheels, two sets of upper nose cowls with differing gun configuration. 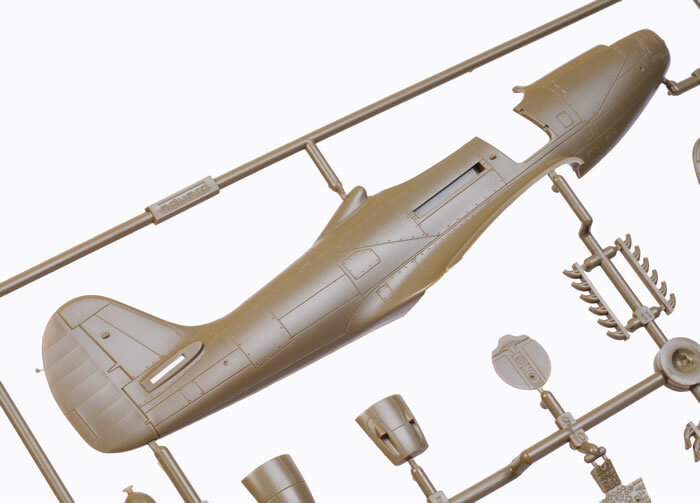 Basically from this kit you could build any version of P-39/P-400 as long as you have the decals and the aircraft does not have underwing gun pods. 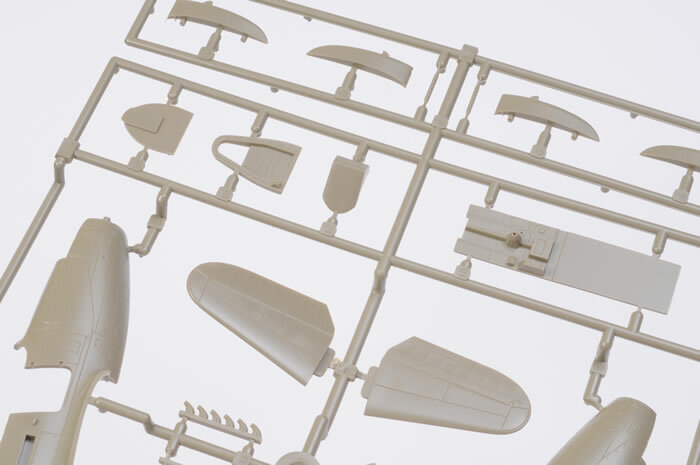 The one essential part that is missing from the kit is the shaped nose weight that fits around the nose wheel well area to prevent the model from being a tail sitter. You will need to fit plenty of weight into every spare area in the nose to keep the nose wheel on the ground. 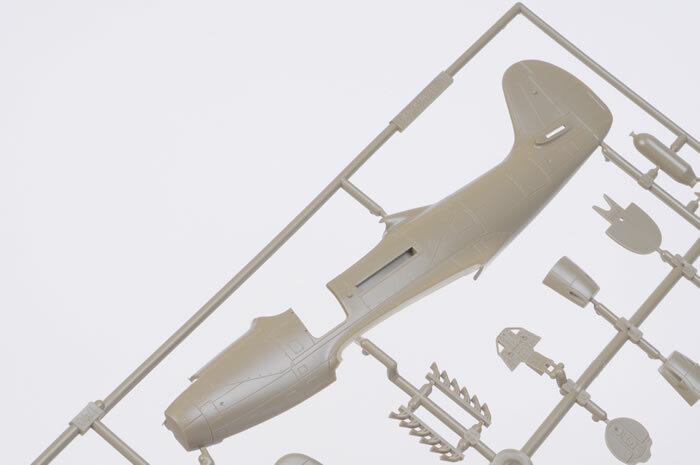 Having built the Eduard P-39Q Profi Pack kit I can comment on the build of the kit. The build is relatively easy and the fit is good. My only beef is the thickness of the trailing edge of the main wings and this will need to be thinned down a lot. The basic cockpit contains a high level of detail which looks good if you decide to leave the cockpit doors open. Options provided for the kit a bomb or fuel tank, weighted or unweighted wheels and the option to open or close the cockpit doors. 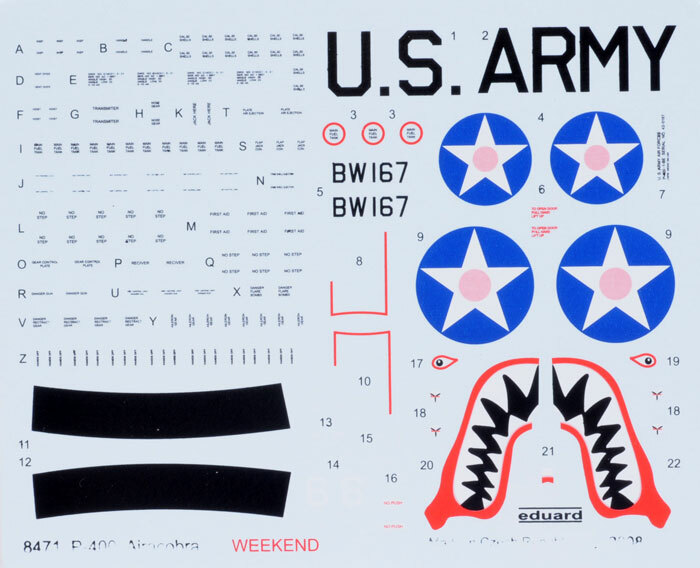 The decal option provided for this kit is for a Bell Airacobra P-400 BW167 of the 67th Fighter Squadron of the 347th Fighter Group, 13th Air Force based at Henderson Field in Guadalcanal in 1942. The aircraft is finished in Dark Green and Dark Earth upper surfaces and Sky under surfaces. The propeller spinner and wing tips were painted white and a shark’s mouth and eyes painted on the nose. Suitable for all levels of modelling skills.